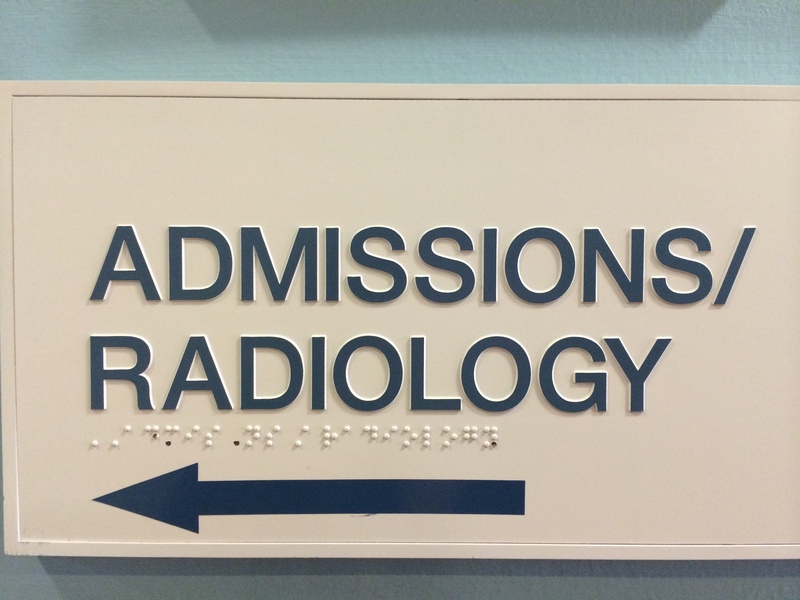 Braille Fail: Are We at Admissions? This was the second sign I saw while waiting for my father’s surgery. As we know, braille dots can be picked off by prying fingers. But even if they were all there, using ‘ation’ for ‘sion’ is still incorrect.